The problem of fake news circulation on WhatsApp has become a real concern and the company is testing new features like limiting the number of forwards to five chats at once, removal of forward button from media and displaying a ‘Forwarded’ label on messages. 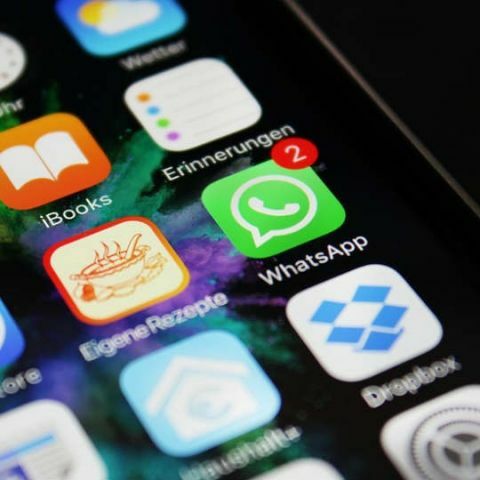 WhatsApp is testing a new feature to limit the mass forwarding of messages on its platform. The company has announced that forwarding will be limited to five chats at once and the quick forward button that is seen in front of media messages will also be removed. This means that selecting a message or any media like an image or video and tapping the forward option will bring up the contacts and groups list, but one will only be able to select five chats at once for forwarding the message. WhatsApp also published ads in Indian newspapers recently, to educate users on how to identify fake news. It has sought help from local experts for restricting the spread of misinformation on its platform and announced ‘unrestricted research rewards’ of up to $50,000 for proposals from social scientists and research groups that propose projects to “enrich” the company’s understanding of the fake news problem. The aforementioned forward label is a welcomed addition by WhatsApp and although it can help in identifying whether a forwarded information is fake or not, it’s not foolproof. Simply copy-pasting a message before sending it will remove the forwarded label and a person with malicious intent can use this for making sure that forwarded messages don’t display the ‘Forwarded’ label. One can also create a broadcast list and send messages to their contacts using the same method, as the forwarded label is also not shown here. WhatsApp should definitely patch this loophole where one can simply forward a copy-pasted message and get rid of the Forwarded label.